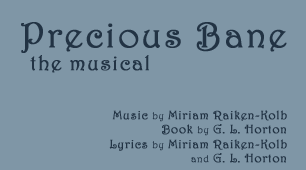 The musical Precious Bane is an adaptation of the celebrated 1926 novel by Mary Webb. (Mary Webb Wikipedia bio; Mary Webb Society) The story takes place in the early 1800s on a farm in Shropshire, England. Precious Bane, set in 1815, is the story of Prue Sarn, who was born with the “Devil‘s Mark” of a twisted lip, which superstitious folk believe is the sign of a witch’s Evil Eye. Her family and neighbours know that Prue has a good heart, but strangers fear and shun her. Her brother Gideon says no man will ever love her, so she must join him in his quest for wealth and power. But Kester the Weaver sees beyond Prue’s flawed face. She is his ideal woman, his one and only Life’s Companion. Prue must summon all her strength to break the downward spiral set in motion by Gideon’s ruthlessness. 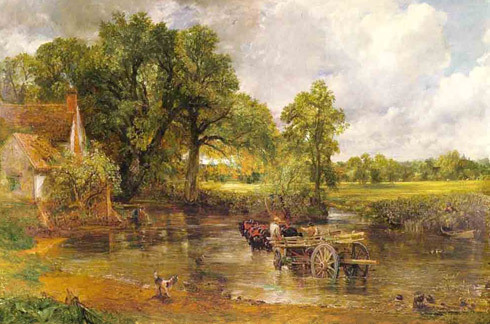 At his father’s funeral, Gideon offers to be “sin eater” and take on the sins of his dead father in exchange for sole ownership of the Sarn farm. He is determined to make the farm prosper so that he can sell it for a lot of money, buy a large house in town, and become a respected and powerful figure in the community: “King-of-the-wik, and the only apple on the bough”. In order to achieve his dream he coerces his sister Prue into helping him to work the farm—to slave on it, really. He does this by telling Prue that she will never marry because she was born with a hare-lip, which the surrounding village folk believe to be a sign of the devil. Although Prue’s dream of becoming a wife and mother is crushed, it is not in her nature to become embittered. She decides “If I canna have a lover, then the world in all its beauty I’ll embrace.” And indeed, at the core of Prue’s character is a spiritual connection to the beauty of nature and a thirst for knowledge. When Gideon suggests that she learn how to read and write to help with the farm accounts, Prue readily agrees. She senses that through reading and writing, new doors will be opened for her: the beauty of words and thoughts and the freedom of the imagination. When Prue first sets eyes on Kester Woodseaves, the strong but gentle and literate weaver who joins the community, she falls hopelessly in love with him. Although she believes she can never be his wife, she watches over him and becomes his savior when he falls into great danger. Gideon’s childhood sweetheart is Jancis, the beautiful daughter of Bequildy, the community’s wizard. Their mothers favor the match, and the pair is betrothed. But her father has other plans for Jancis. Wizard Beguildy threatens to either “sell” his daughter to a rich man or else send her off to a distant farm to work for three years. 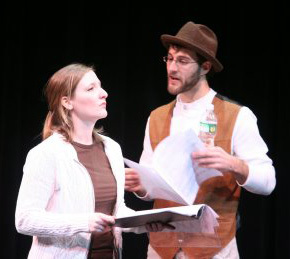 Jancis pleads with Gideon to marry her right away, but Gideon refuses. He will not marry her until he becomes rich himself, and her earnings as a dairymaid will help them reach that goal. Men who marry young never prosper because they have too many mouths to feed. In the end, Gideon sacrifices everything—love, family, and his own life and sanity—for the chance at money and power. He is destroyed by his dream: whereas Prue, in spite of her deformity, wins Kester, who feels a deep attraction to her because of the passion they share for books and ideas and the compassion they both feel for all living things.